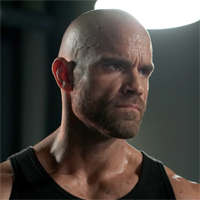 Showing 1 - 15 of 22 articles tagged "Marvel’s Agents of S.H.I.E.L.D." 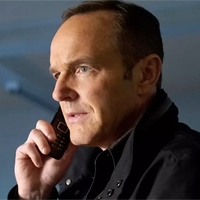 Here's your first look at how the agents will move on without Coulson. Henry Simmons' Alphonso “Mack” Mackenzie takes over Clark Gregg's Phil Coulson when the Marvel drama returns next summer. The renewal comes well ahead of Agents of S.
Research from Parrot Analytics found that Agents of S.
Paul found himself embroiled in controversy earlier this year with his Japanese suicide forest video. Marvel's Agents of S.H.I.E.L.D. Season 5 finale was designed "so that you can imagine it as you want"
Marvel Cinematic Universe is often compared to TV, but is it good television? "The answer is: sometimes," says Alison Herman. How will Avengers: Infinity War affect Marvel's TV shows? The long-neglected Marvel TV shows are still technically connected to the Marvel Cinematic Universe. How did Agents of S.H.I.E.L.D. manage to keep its 100th episode surprise secret? Dalton will do a guest-stint on the upcoming magic-themed procedural Deception.